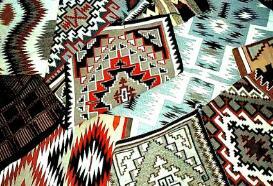 methods and designs of their weaving products. might be used for wearing, sitting upon, or hanging across the entries of dwellings. 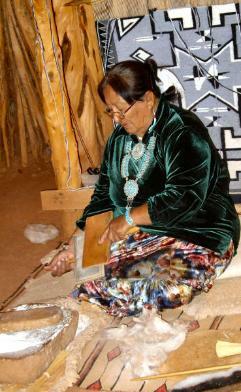 weaving; among the Navajos the task was usually taken up by women. characteristic diagonal called the lazy line. so that she could go on to another.